I am running for Governor because Hawaiʻi needs a new style of leadership. Hawaii needs leadership that brings us together instead of divides us. Hawaiʻi needs leadership that moves us forward collectively instead of favoring special interests. Hawaiʻi needs leadership that delivers results and is willing to be held accountable for its actions. The Ige administration will address the many issues facing our state in a direct and forthright manner. I will collaborate with our federal and county partners and with the Legislature to serve all of the people of our state. We will spend public funds thoughtfully and without waste to avoid raising taxes. We will make state government more efficient, especially in the procurement of goods and services and the hiring of personnel. We will conduct government affairs openly and be visible to the public. The Ige administration will not only strive to do the right thing, but do it the right way. My administration will be honest, transparent, accountable, and responsive to you. I will serve the public interest and not special interests. I will hold regular news conferences. I will have no hidden agendas. There will be no name-calling when I disagree with anyone, no disparaging remarks toward anyone, no taking sole credit for collective achievements or blaming others when things go wrong. When conflicts occur among diverse groups, my administration will hear all views and strive to find the best solution for all. I will hold my appointees to a high standard of transparency and accessibility to assure the public that there are no conflicts of interest. If I were Governor I would have immediately signed SB 2682, which requires members of 15 state boards and commissions to publicly disclose their financial interests. Many of these boards and commissions make major expenditure decisions, and the public must be assured that these decisions are made in the public interest. The current Governor initially threatened to veto the bill, then reluctantly allowed it to become law without his signature. 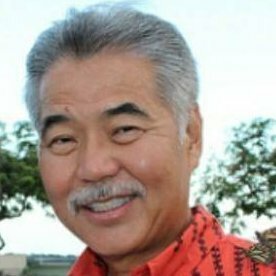 Instead, Hawaiʻi's Governor should have taken a strong stand for transparency in government. My administration will honor and respect our Native Hawaiian culture, customs and practices. This is my commitment to the people of Hawaiʻi. State government needs to work more like a business by consistently delivering results on time and within budget. As an electrical engineer in private business, I manage project teams that must deliver results that meet customer requirements. If we don't deliver results, we don't get paid and our clients are free to choose someone else. I bring this perspective to State government, which needs to be agile and efficient, innovative in developing solutions, adaptable to a rapidly changing environment, and above all, accountable to our "customers," the people of Hawaiʻi.